The most romantic spot in the most exciting part of Amsterdam. 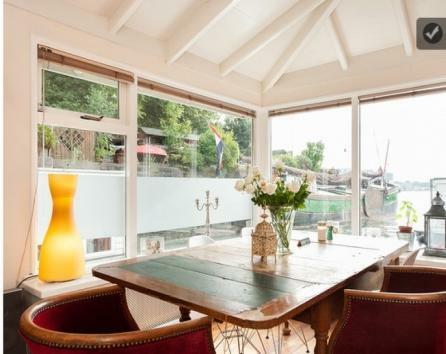 Share our spacious houseboat in a historic lock with a large idyllic garden and a fantastic view over the river IJ and the skyline of Amsterdam. We welcome you to stay in a spacious bedroom on our lovely houseboat for an unforgettable Amsterdam city trip. 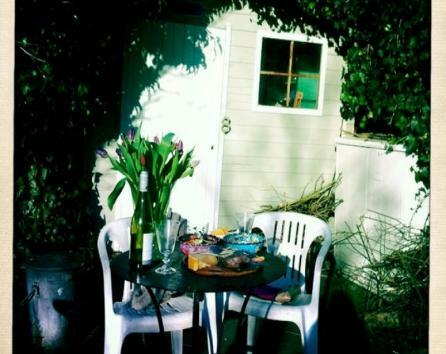 A private bedroom and sitting room with shared bathroom are on offer on the spacious houseboat with a big garden in a quiet and peaceful area close to the City Centre. - Large bedroom with television and minibar, free Wifi + separate (open) room + (shared) luxurious bathroom with bath and separate shower. - Free Parking in front of the houseboat (24/7) - Free Breakfast. - Central heating and double glazing which make it cosy also in Winter. 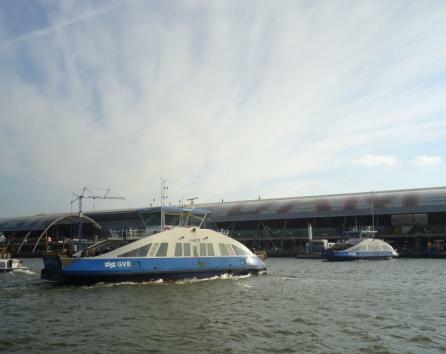 - only 3 minutes walk to the Free ferry (24/7, daytime every 5 min, night every 10 minutes) which gets you to Central Station in just 2 minutes. 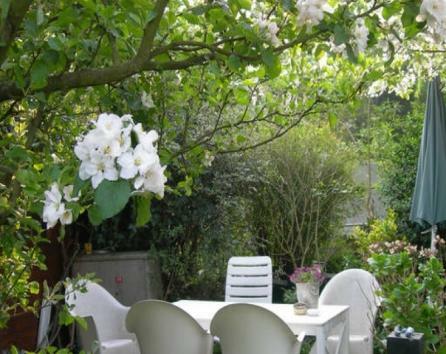 - walking distance to the centre and to the famous canals. Enjoy the tranquility, the passing ships and the city skyline. 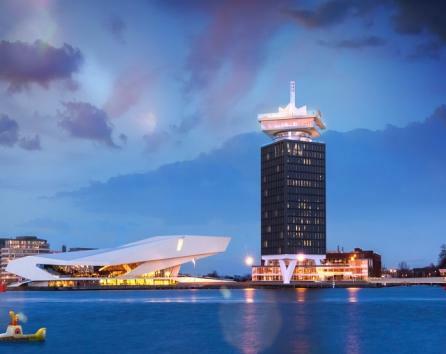 museums like Van Gogh Museum, Stedelijk Museum Rijksmuseum, Anne Frank house, Hermitage etc. 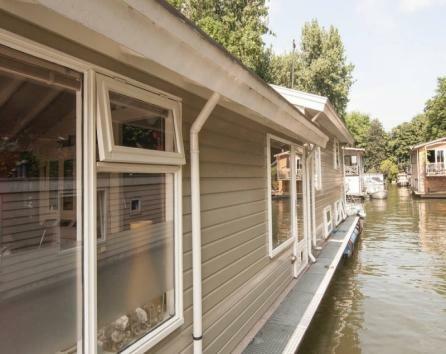 The houseboat is spacious and bright and has a modern bathroom which is shared with the two occupants. The accommodation is for rent for minimum two nights and breakfast is included. We can also tell you about some nice cafes and good restaurants both in town and locally. 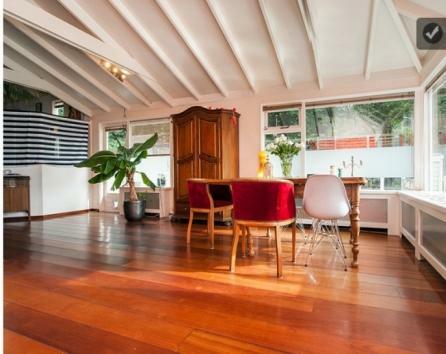 The houseboat is located in Amsterdam North, a hip and trendy emerging district only a Ferry ride away (24/7, every 5 minutes), from the City's Centre. The Ferry is for free and leaves every 5 minutes, day and night! Close to our boat there are plenty of things to do: from the 19th century lock you can walk to the architecturally striking Eye Film Institute (four cinemas, restaurant and bar, the Tolhuis park with music programming during Summer and soon a hotel with revolving restaurant in the former Shell Tower. You'll stay in a large bedroom (approximately 6 x 2,5m2). 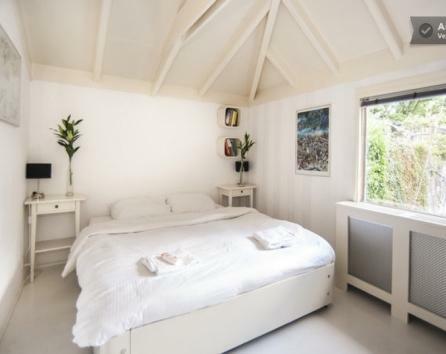 The bedroom offers a view on some houseboats and sailing boats surrounded by trees. In addition, there is a separate open room with a table and chairs. 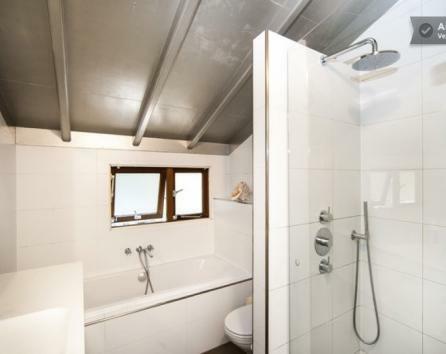 The bathroom is bright and modern and is shared with the two occupants. 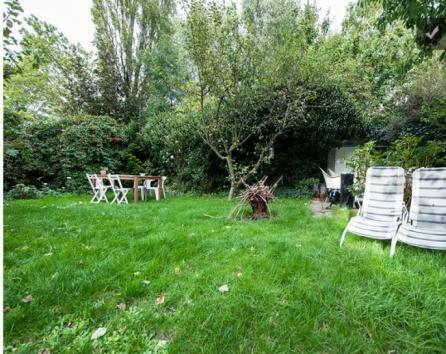 Big sunny 350 m2 garden offering complete privacy. Enjoy some time in our comfortable loungers in the sun and on the terrace with an amazing view over the river IJ and the skyline of Amsterdam. Free parking is available. 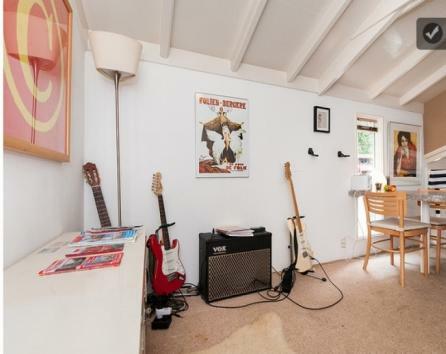 Please note that this is a private room in a houseboat which is shared with the host.